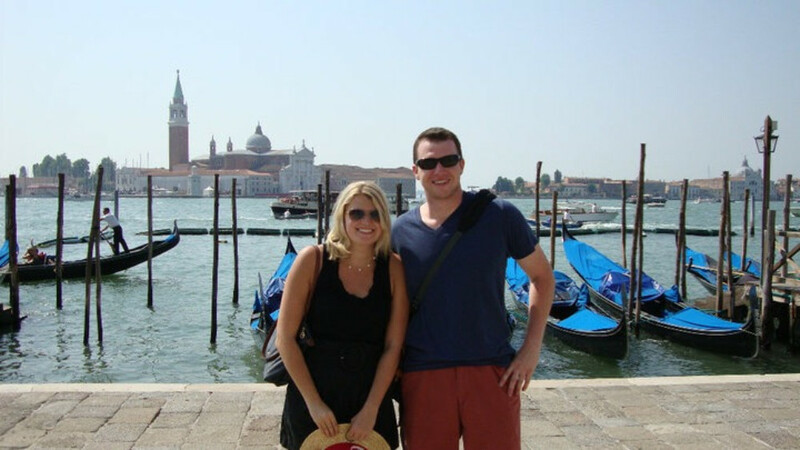 Venice is a must-see city in Italy and truly one of the most amazing places in the world. 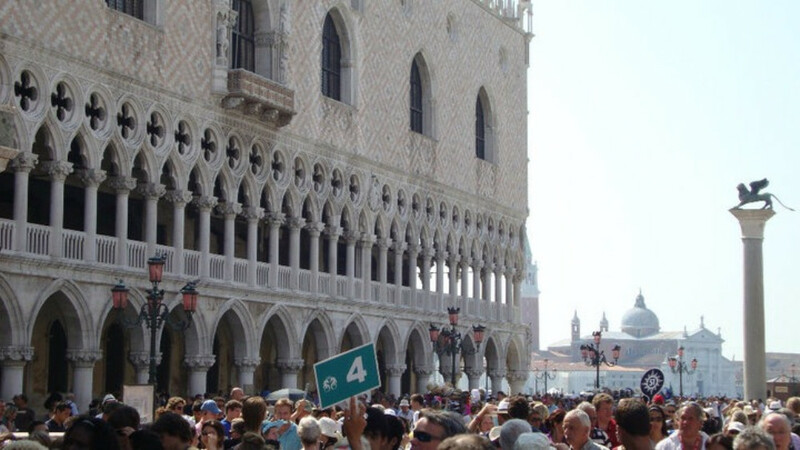 Venice can also be very crowded, extremely hot, and difficult to find an excellent, yet still affordable meal. Don’t let that scare you off though, there is no other city like it and no matter how many photos you’ve seen of the canals, bridges, and colorful buildings, you have to experience the city yourself to understand just how incredible it is. 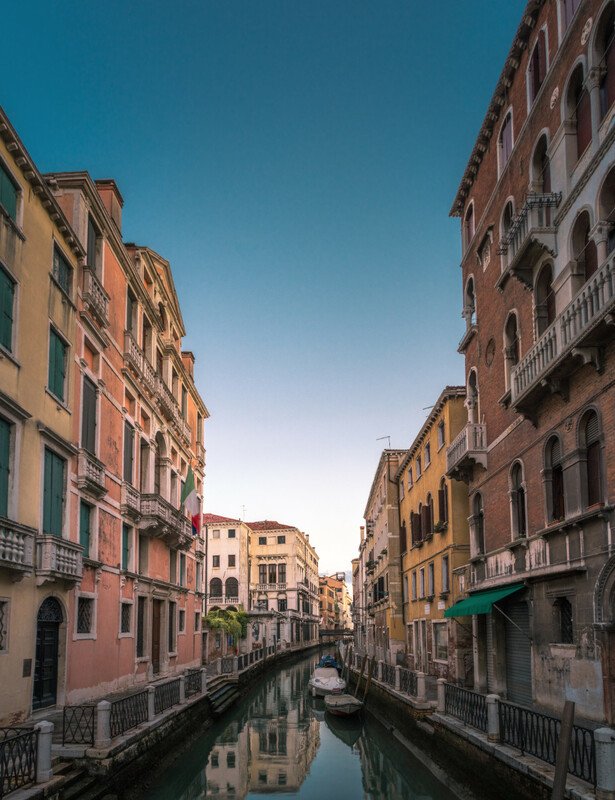 Venice is a relatively compact city, so if you’re on a whirlwind tour of Italy, one night and two days is definitely enough time to experience the highlights that Venice has to offer. Venice is an island (over 100 little islands to be precise) sitting in a lagoon. It’s not actually a floating city, but it does struggle with flooding (due to rising tides in the winter) and it is said the island will eventually be submerged. 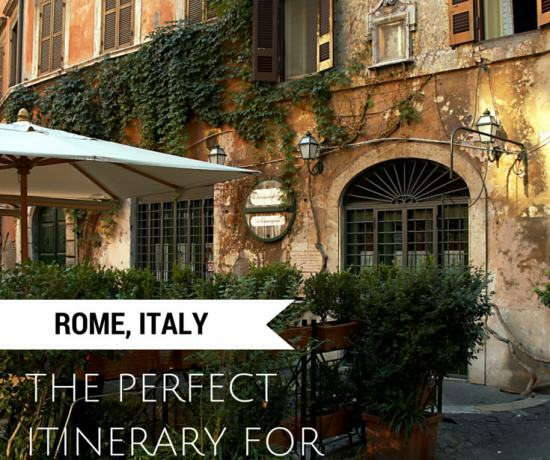 So it’s time to check this city off your travel bucket list before you miss your chance! Traveling Chic Tip: If you visit in the winter and early spring, I hear rain boots are a must! 9:00: You have arrived in Venice and are ready to hit the ground running! 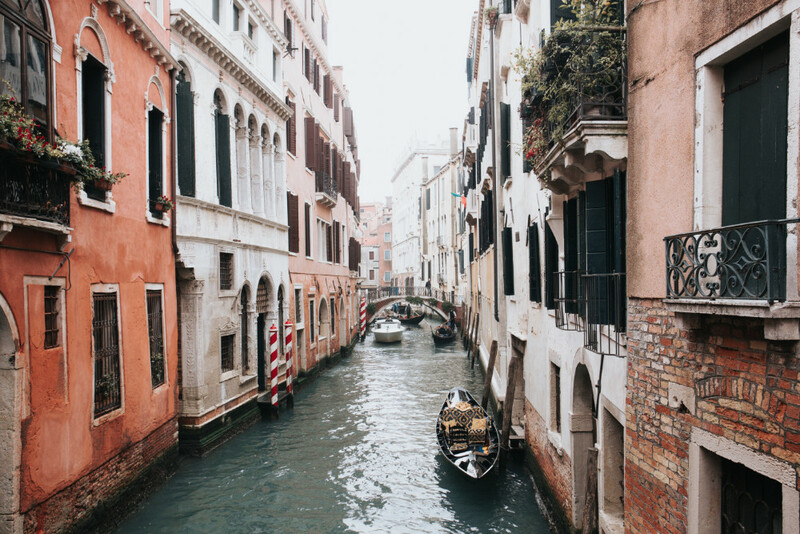 There are two ways to tackle Venice: 1. with a good map (it’s incredibly easy to get lost in this town full of narrow streets and alleyways) or 2. strolling aimlessly and happening upon Venice’s most popular sites. Either option is a good choice and will allow you to see plenty of this wonderful city. 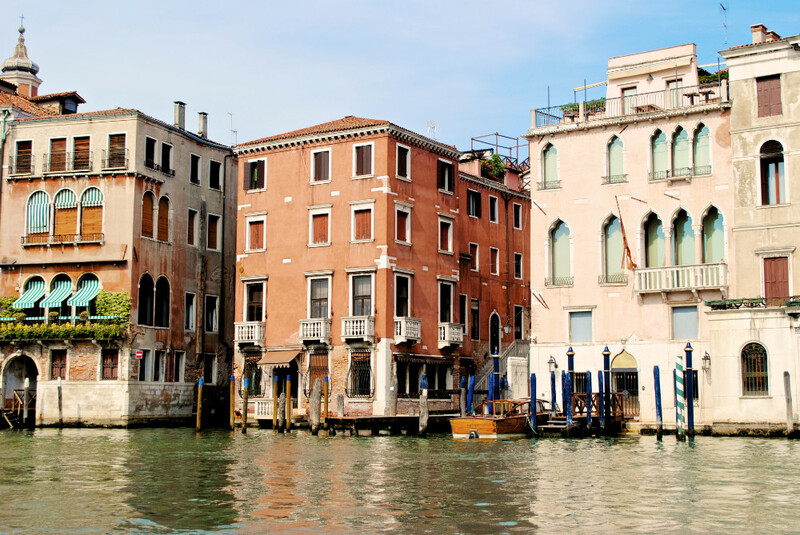 Traveling Chic Tip: There are seven neighborhoods to explore in Venice. Here’s a map and a quick overview of the neighborhoods. 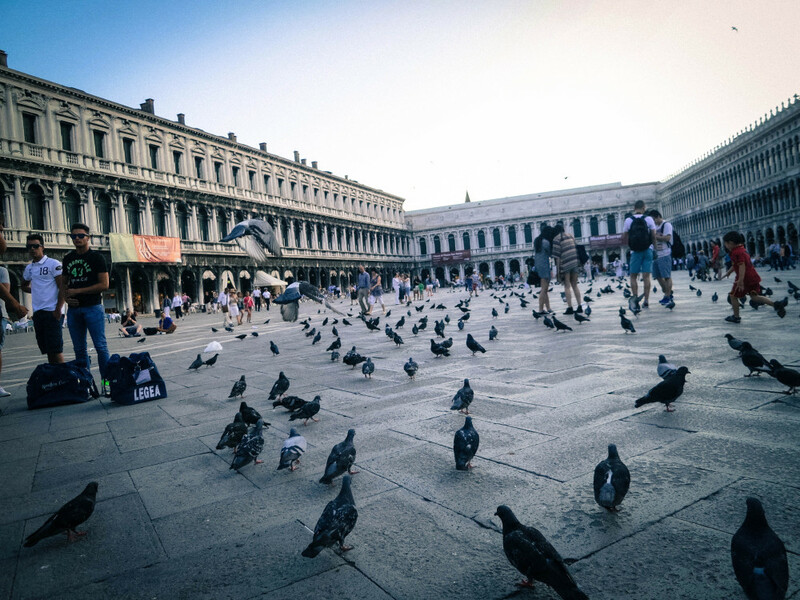 9:30: Wander through Venice’s most famous square, Piazza San Marco (St. Mark’s), but be sure to look out for pigeons! 12:30: After lunch, hop on a Vaparetto (Venice’s version of a city bus) for a 15 minute ride to Murano Island, also known as the glass blowing island. 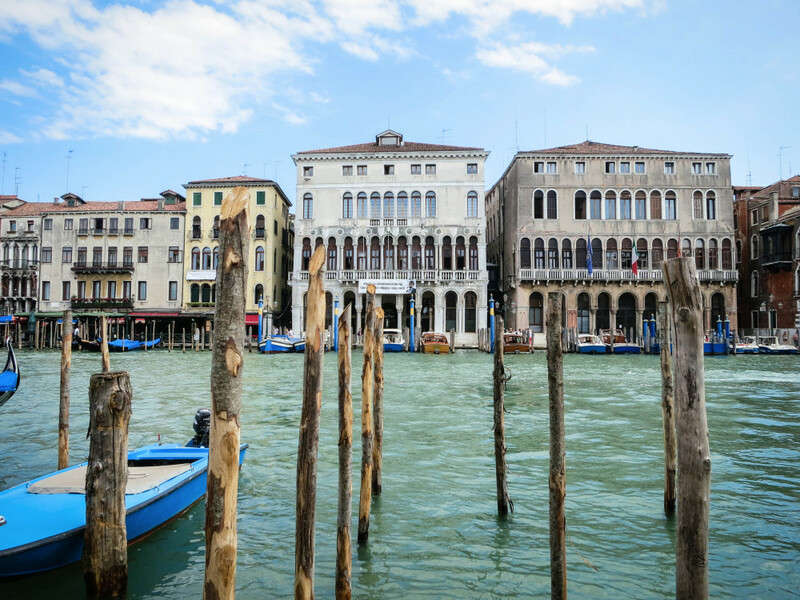 Explore the island, pop into shops and galleries to admire the glass work, and seek refuge from the hoards of tourists in Venice. 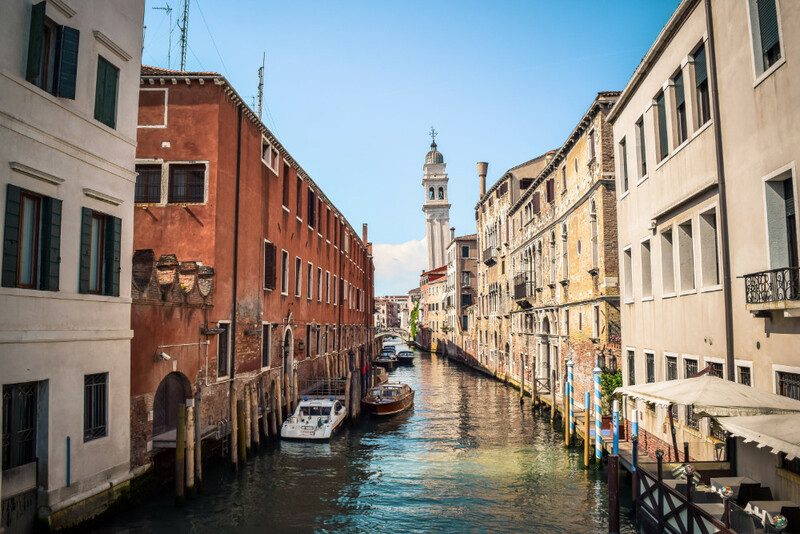 *If you came to Venice for the art then you may want to fit in the Dorsoduro district and explore the Accademia museum. 4:30: Campo San Giacomo all’Orio is a Venice square with a neighborhood feel. Head over to this part of town and have a pre-dinner drink at Al Prosecco. A glass of prosecco would be the obvious choice and a Venice favorite, but another fun drink to try is an aperol spritz. When you’re ready for dinner, head to nearby Osteria La Zucca for dinner or one of the other restaurants nearby. Considering how busy Venice is, it’s probably best to make a reservation ahead of time. 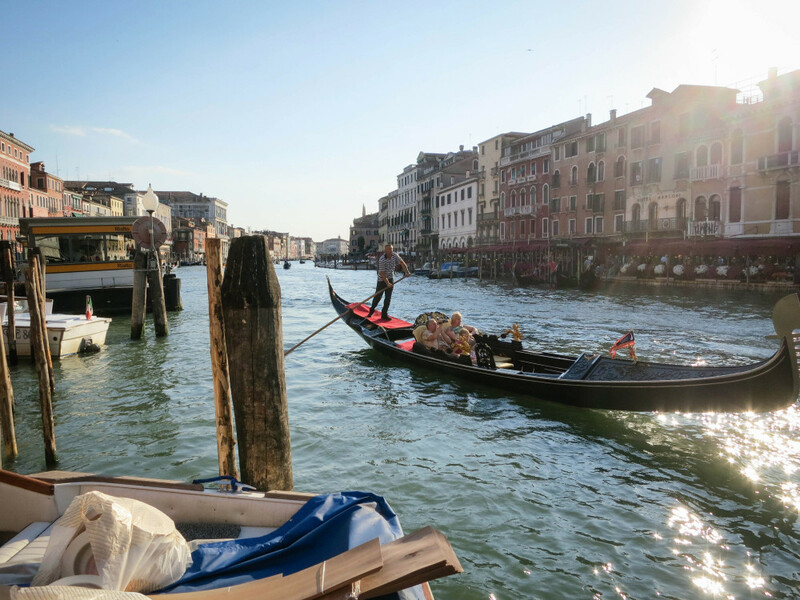 8:00: To finish up your day take a gondola ride. 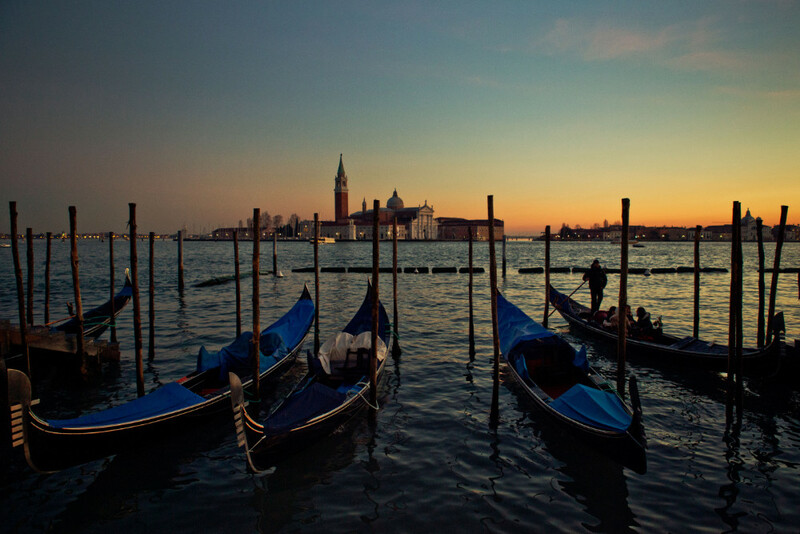 If that’s not in your budget, board a Vaporetto for a less expensive evening tour of the Grand Canal. If nothing else, be sure to stroll along the canal after dinner. After all, Venice is most magical and mysterious at night. Another evening option is a bar crawl. More details here. In the morning, get up early to enjoy crowd-free wandering of the city. 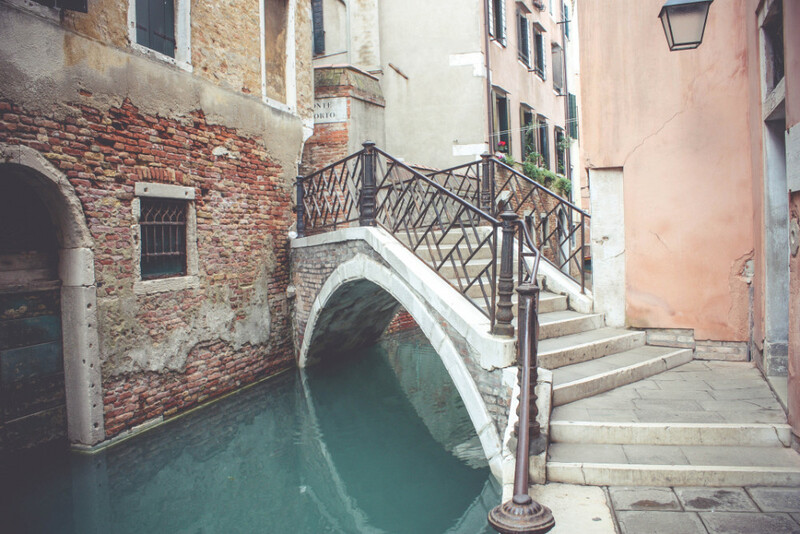 Head out in search of the most charming bridges, windows, balconies, and canal views. Once you work up an appetite, stop at a cafe for breakfast. 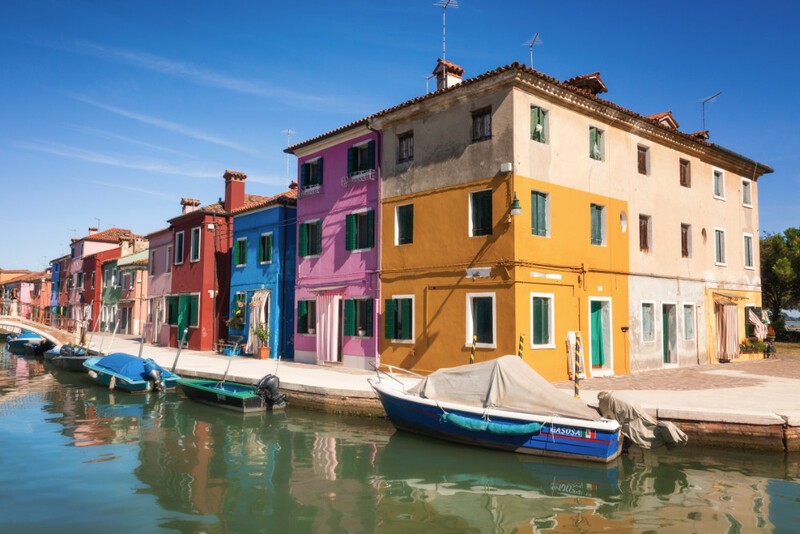 9:00: Today we’re off to explore the island of Burano – a fishing village in the lagoon. 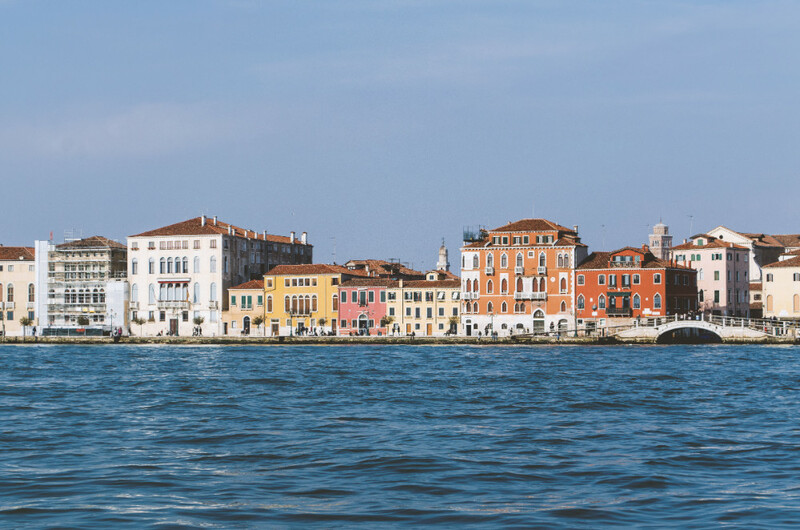 A 45-minute vaporetto ride will transport you to the most colorful and charming little town. Apparently the people of Burano began painting their homes in bright colors so the fisherman could always make their way home–even in thick fog. Today the families continue to paint their houses so they can be easily spotted when on the water. Spend the morning admiring the island’s handmade lace and take in the colorful homes. When you get hungry, enjoy a fresh seafood lunch. 1:00: Time to head back to say goodbye and continue on to your next destination in Italy. Ciao Venice! What would you add to the list? I love to hear your recommendations! Have a great trip, Danielle! 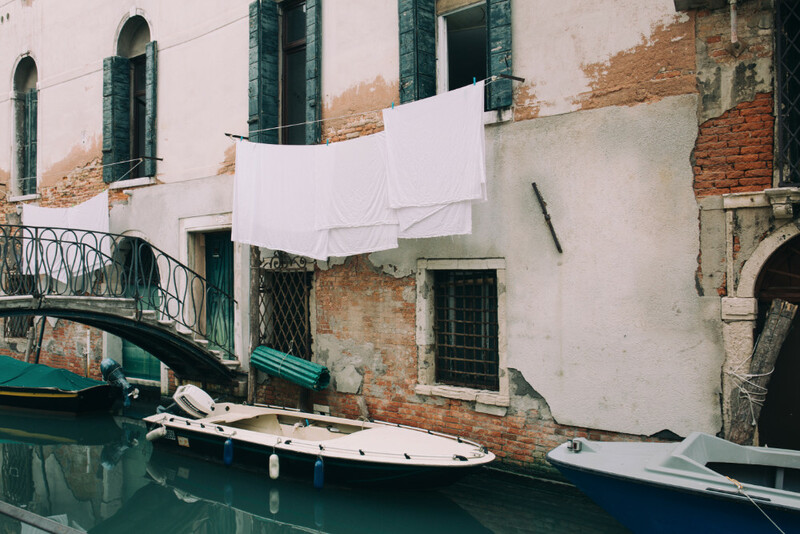 Where would you recommend to stay while in Venice? 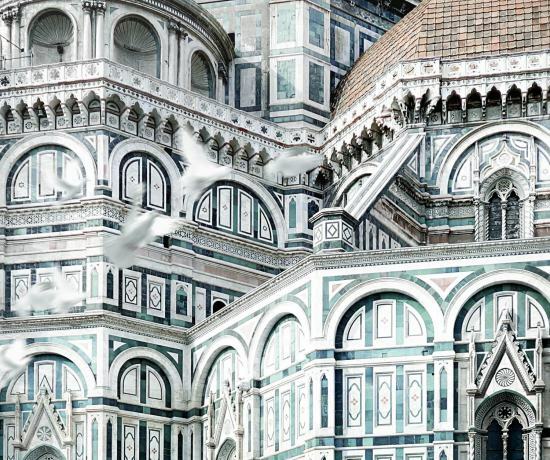 In your posts on Rome and Florence you’ve recommended where to stay but on this post you haven’t (If you can recommend an area and not specific hotels that would be great).